Legendary Pictures Interested in Live Action Pokemon Movie? For many years now, people have speculated about a live action Pokemon film. You’ve had fan casting lists. Fan films utilising the premise. Articles about how the movie may or may not work in the format. Above: And the Superbowl commercial raised interest in the idea too. And now with Pokemon GO being so successful, the rumours are restarting again. According to movie site Deadline, Legendary Pictures is moving towards a deal to land the film rights to the series. With an interest in making a live action adaptation of the franchise. But could it work out? Well, that’s a good question actually. On the one hand, Legendary Pictures do have experience when it comes to make decent adaptations of existing franchises. They’ve been involved in the Batman adaptations by Christopher Nolan, like The Dark Knight and The Dark Knight Rises. They made Jurassic World last year. And the 2014 Godzilla movie wasn’t a bad film either. So they can do good adaptations. On the other hand, their video game adaptations are rather less well received. Their Warcraft movie got negative reviews from critics (but did well in China). Their Dead Rising films were plain average. And that’s about it as far as game adaptations go. So it’s hard to tell how well this film could work. If they got a good director and staff (and people who actually care for the source material), then it could easily be amazing. 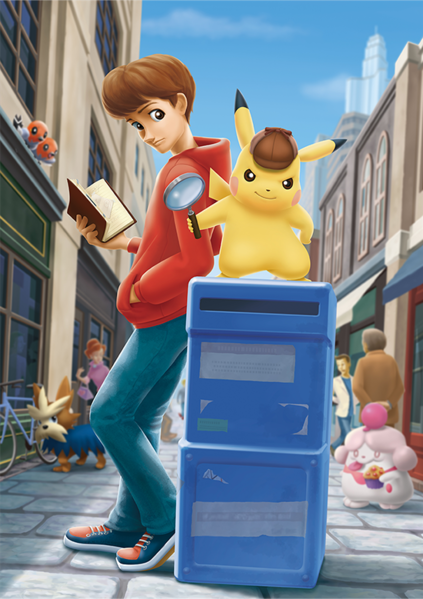 Pokemon by the same team behind The Dark Knight or Inception would certainly be an interesting thing to watch. There’s also the question of whether the format would work for this series. I mean, Pokemon is a pretty effects heavy franchise with a large non human cast. That’s fine in animation (where animating people and Pokemon costs about the same), but maybe less so in real life. Where CGI models and special effects have to be set up for every single Pokemon related scene. But it’s all speculation at this point. Nothing has been confirmed, no hard evidence exists, and the idea of a movie is just a possibility. Let’s just wait and see if it’ll all amount to anything. Uhhh, why?! They don't even release the animated films in theaters anymore so why make a live action one that won't be decent?